We have been extremely busy in recent weeks, completing lots of jobs in a variety of different locations throughout Norfolk. Last week, our team of flooring fitters completed a job in Norwich – replacing the flooring in the toilet block of St Stephen’s Church. The images and captions below follow us through the job. The existing vinyl flooring was starting to show its age and needed replacing. Our first job was to remove this existing flooring and then ply the floor, getting it ready for the new floor covering. The toilets are in regular use and the safety of users was a big concern. We used Altro walkway safety vinyl flooring in this job. It is the perfect flooring for the toilets as it is easy to clean, very durable and also very safe due to its slip-resistant properties. The area we were working with wasn’t very large but it was split between two different rooms and there were awkward corners our team had to deal with. 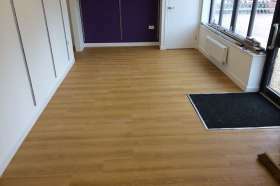 We also installed coved skirtings with the flooring. This job wasn’t our largest by any means but, like all of our installations, we completed it to our high standard. The church has a new floor that will last for years to come. Interested in replacing the flooring in your home or business’ toilets? 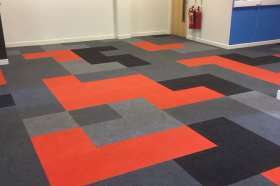 We can help, give us a call on 01603 879359 or email us on sales@reformflooring.co.uk. Follow us on Facebook and Twitter for the latest company news.